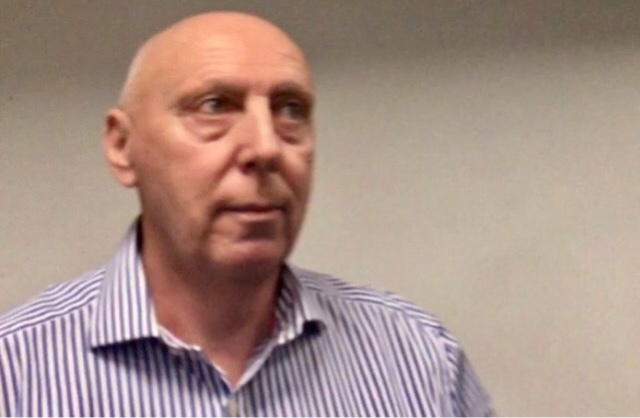 Taxi Leaks: Exclusive : The LTDA COM Have Expelled Members Who Belong To The RealLTDA Group. 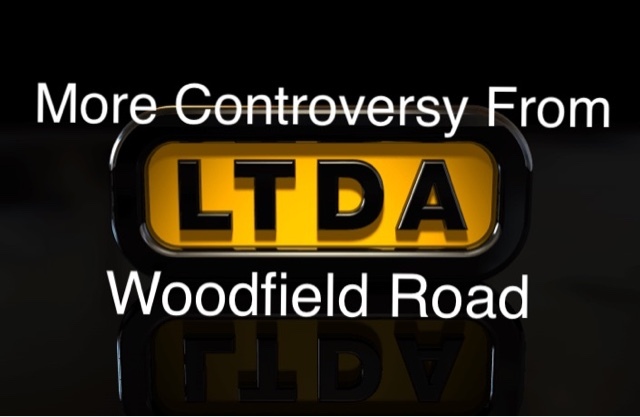 Exclusive : The LTDA COM Have Expelled Members Who Belong To The RealLTDA Group. News just in that the Council Of Management for the London Taxi Drivers Association, have taken the unprecedented step of expelling members who choose to stand up and speak out against existing COM members and association policy. Is this the LTDA’s own brand of democracy ? We received reports there could be as many as 16 members of a driver led group "the Real LTDA", who have received letters explaining why they have been expelled from the Taxi association. The drivers allege they are victims of trumped up charges, such as...they ‘retweeted tweets from other drivers designed to hurt the LTDA. The accusation has been used to facilitate their expulsion. * Members of the Dads Defending Daughters? * Members of the Mayfair Mob? * or perhaps the more militant members of the ITA? You couldn't make it up....actually it appears they have! @hippyjohnoc said on Twitter that the COM have ruled that retweets (below) made by him, were enough to get him expelled. Over the last few months the COM delayed the upcoming elections for the only Green Badge branch....alleging that people standing for election had been victimised. Taxi Leaks spoke to most members up for branch elections and all of the ones we spoke to said that no such threats had been made. They even made a public statement that no threats had been received by the candidates. In a move that would have impressed Kim Jong-‘Un, we then heard that the branch itself had been suspended indefinitely. Members who attended the LTDA AGM felt their democratic rights were being eroded as only one delegate at the meeting had the right to vote on matters and that was the Yellow Badge branch secretary. This one driver was the only one who could vote on issues pertaining to the Taxi trade organisation as whole. With the words from Chairman Massett “you’re gonna like this one”, his one vote was then used to pass a motion to make all future votes by written secret ballot. 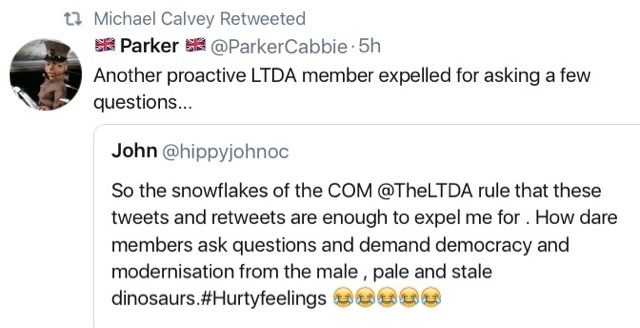 Many members of the LTDA spoken to, are worried that the association appears to have become undemocratically run, mainly by people who do not drive Taxis for a living. One member John, from Hackney said "I believe they are scared of change and are making provisions to protect their own gravy train". Maurice from Gants Hill said "this is no longer a democratic cooperative, it's now a dictatorship". Many members were shocked to hear that the association no longer have the war chest, which they proudly advertised on the front page of Taxi. At a recent all trade meeting, General Secretary Steve Mcnamara said the org had no money to challenge the Uber Arbuthnot verdict appeal. TAXI LEAKS EXTRA BIT : it's a done deal.....again. Thing is Jim you print all this yet people still pay them ? 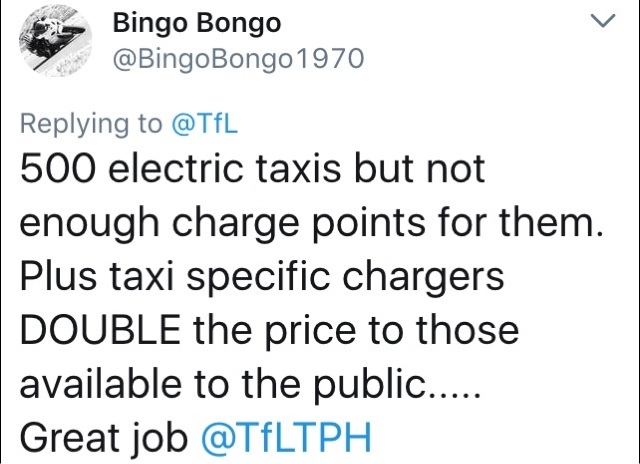 My dad was a cabbie for over fifty years, so have a passing interest in the trade. Remember discussing UBER and the supposed war chest with him. He told me he went to the very first LTDA meeting but was always less than impressed, always promised never delivered and accepted everything that was dumped on you without putting up a real fight. I get the impression they know more than they are letting on, not a case of afraid of change, but are aware of what is coming. who actually owns "taxi house"? 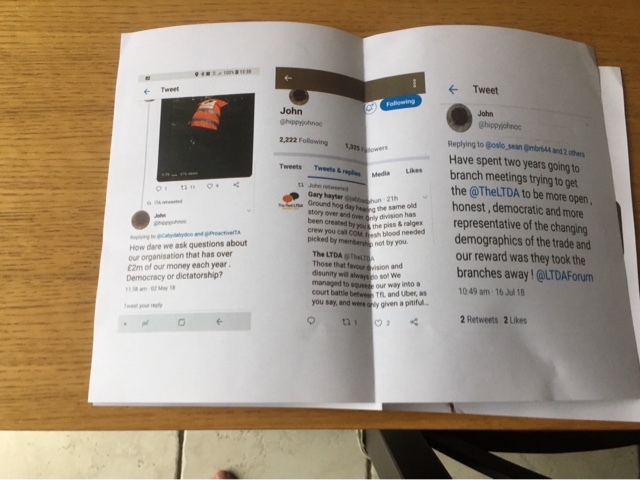 what will happen to it WHEN the ltda decides to call it a day?will it be sold and the proceeds divided between the members?why when joining don,t members recieve a rulebook?are members of the ltda actually shareholders?seems a lot of questions need answering--have to try and check out the deeds. 30yrs ago, one of the main rules was, that to be on the COM, they had to have a current licence!